When Cambridge University’s Department of Chemical Engineering decided to merge with the Institute of Biotechnology, a teaching and research centre was commissioned to act as their common home. 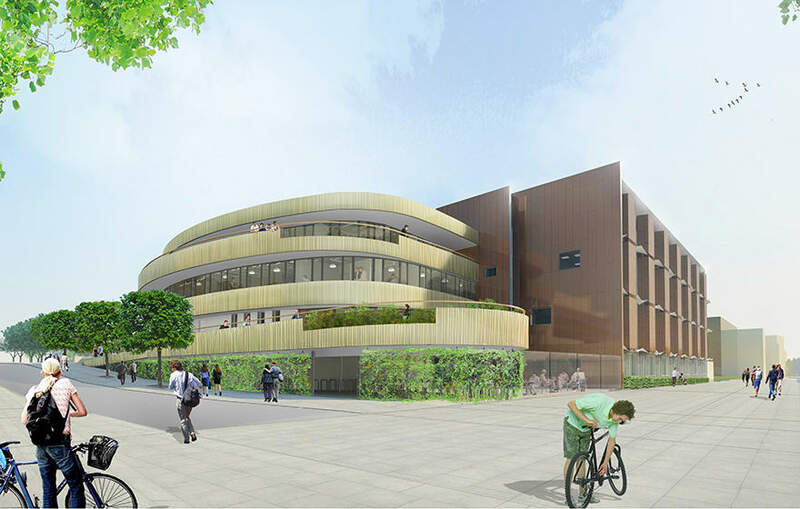 When completed, the £40m Chemical Engineering and Biotechnology Centre (or CEB Centre), designed by BDP with services consulant Hoare Lea, will be home to research on both medical sensors and the engineering of chemical reactions. The project includes laboratories for both disciplines, clean rooms, and a magnetic image resonance centre. And as with any laboratory, the M&E package takes up the lion’s share of the costs – or £12m – and the lion’s share of the problems. There’s the high tolerances, and the problem of fitting heating, cooling, ventilation, power, lighting and security systems together in a constricted space. Shepherd Engineering Services (SES) won the role, working with main contractor Morgan Sindall, and opted to implement BIM. Paul Newby, SES’s engineering services director, says an obvious benefit is that BIM verifies the design. “There are very congested services and the spatial coordination is challenging. We need to know that the design, when we switch it on, is going to work. We have to be sure we’re going to get the right amounts of air, the right pressures, and we know that there isn’t going to be any leakage,” he says. There were less obvious benefits as well, including deciding at an early stage what could be done offsite: it is company policy to maximise offsite construction, using the suppliers’ factories and its own Prism offsite manufacturing arm. A more unexpected advantage was that it allowed SES to work more closely with the client, which did not have a BIM execution strategy, so SES held workshops with it and used the model to check that its plans made sense from an FM perspective. The lack of a client execution strategy meant that the project lacked holistic cradle-to-grave integration. The architecture, structural and M&E design teams used the shared 3D model to deliver its part of the programme and coordinate its work, but true level 2 BIM is still only emerging. BDP designed using Autodesk’s Revit, but SES did all its work with the Autodesk Fabrication package, better suited to making and installing M&E services. SES also used its own Mosaic ERP system, which provided the database that “turns a 3D model into a 5D BIM”, Howe says. SES uses the combination of Fabrication and Mosaic to handle the procurement of labour and materials, pricing, fabrication, management of hours and costs. It also used Fabrication for the fabrication drawings that go to the Prism facility. In the immediate future, SES plans to finish the installation of services at the CEB Centre in February and begin a four-month testing and commissioning period, after which the client will be given the BIM model and O&M information for the equipment – the lack of an integrated package stems from the lack of an overall BIM strategy. After each job SES tries to capture the lessons learned by using workshops. For this scheme, Newby says the main point for him was that “if you have a client that doesn’t have a BIM execution plan, that doesn’t mean you shouldn’t engage with them and draw them into the BIM process to try to create some collaboration and create some value for both parties”. Howe says another breakthrough would be “true interoperability”. Newby agrees, and gives an example drawn from the CEB Centre. At the moment, if you make a change in one service is may affect another – what scientists call a ‘many body problem’. But maybe it won’t be in the future.